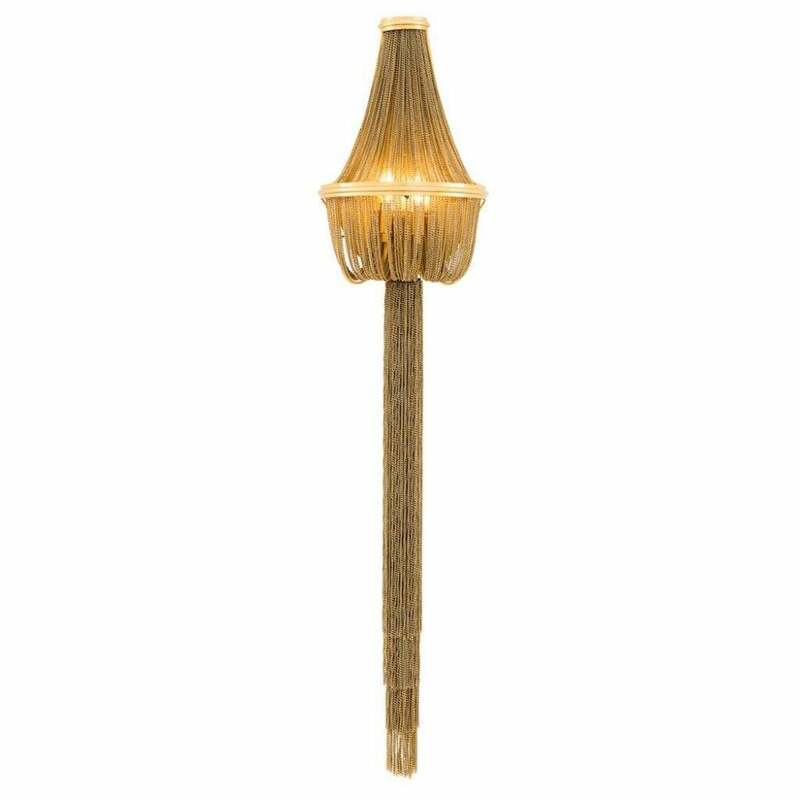 Add a glamorous touch to a bedroom or hallway with the Martinez Gold Wall Lamp by Eichholtz. Inspired by the glittering décor of the 1930's, this beautiful wall lamp features a cascading design that resembles the chains of fine jewellery. Finished in a radiant gold hue, create a warming ambience with the Martinez Wall Lamp. Style within a contemporary white space to let this striking light become the focal point.